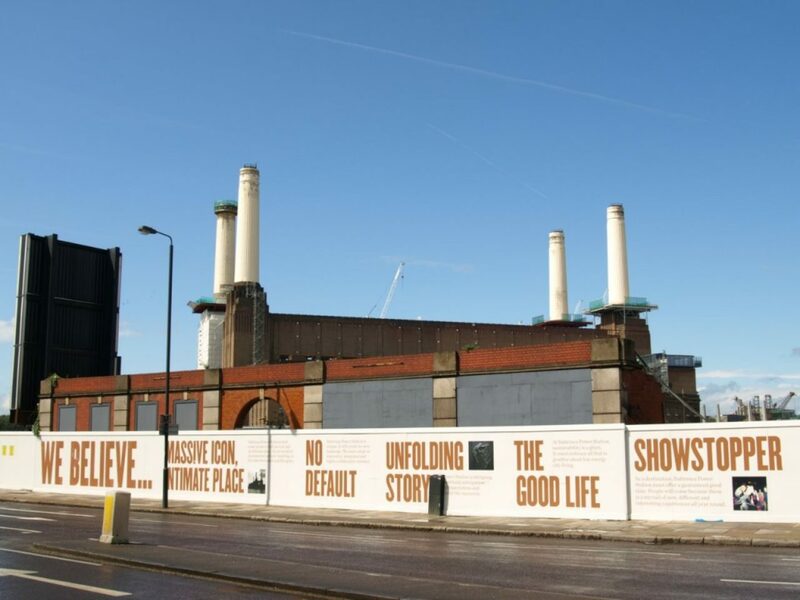 This is the first of a series of podcasts documenting the Creative Roots project in London’s Nine Elms redevelopment area. It features Caryl Davies and Susie Gray from Wandsworth Council and Helen Evans from Covent Garden Market Authority explaining the background to the project. The Creative Roots artists project aims to start a dialogue with the residents of the estates connected by Thessaly Road in the Nine Elms area of Battersea and explore their ideas for simple and engaging activation of the public realm. It is led by Paul Green of Avant Gardening (http://www.avantgardening.org) and funded by Wandsworth Council and Covent Garden Market Authority. For more information about Creative Roots visit http://creativeroots.co. This short five minute clip contains extracts from the spoken portrait we produced for the London Sinfonietta, as a gift for their retiring Chair, founder of the Groucho Club Tony Mackintosh. The full 30 minute piece features past and present members of the Council, staff and players. Their recollections span key moments in the thirteen years that Tony was Chair and pay tribute to his huge contribution to the achievements of the London Sinfonietta. We worked closely with the Chief Executive of the London Sinfonietta to map out key dates and events during Tony’s time as Chair, and identify suitable people to speak. The interviews were held at people’s homes and offices, and in one case in the auditorium of the Royal Festival Hall. We added short excerpts from music performed by the London Sinfonietta with their kind permission. The pieces featured here are from Louis Andriessen’s Very Sharp Trumpet Sonata and Oliver Knussen’s Two Organa, Op. 27 (1994). This is one in a series of podcasts documenting Operation Deep Freeze (www.operationdeepfreeze.com), a Greenwich-based art and food growing project. It was recorded at a workshop at Robert Owen early years centre in Greenwich. Paul Green (www.avantgardening.org) explains the day’s activities. We hear the sounds of staff, volunteers and pupils building a raised bed, digging and watering the soil, planting seedlings and making ice-cream. Here’s another podcast about Operation Deep Freeze (www.operationdeepfreeze.com), a Greenwich-based art and food growing project. It features artist Lisa Cheung (www.lisacheung.com) talking about the launch of the mobile ice cream making unit in May 2014, and Paul Green (www.avantgardening.org) leading one of the workshops for kids at the Greenwich Pleasaunce. Tickertape recorded and edited this short feature for ‘Stereochron Island’, an offsite research project by Cathy Haynes as Chisenhale Gallery’s artist in residence in Victoria Park in east London, 2013-14. The piece presents Cathy’s parents, who are farmers, explaining East Midlands sayings about the weather. It was recorded at their home. For more information about this and the wider project, see Cathy’s Stereochron Island blog: www.stereochron.org. For more about Chisenhale Gallery, see www.chisenhale.org. This is the first in a series of audio podcasts documenting Operation Deep Freeze (www.operationdeepfreeze.com), a Greenwich-based art and food growing project. It features artist Lisa Cheung (www.lisacheung.com) and Paul Green (www.avantgardening.org) introducing the project and describing the workshops that took place in February 2014. This is one of two short audio podcast for Annabel Brown Architect (www.annabel-brown.co.uk) about award winning renovations. They each feature Annabel telling the story of the project and the client reflecting on what it was like to live there. We wanted to complement the photographs on Annabel’s website with voices to bring the work to life. The accounts paint a picture for potential clients of the design and construction process and give an introduction to Annabel. They also serve as testimonials. Produced November 2012. See also podcast about The Stable. Produced November 2012. See also the podcast about Pickwell Barn.